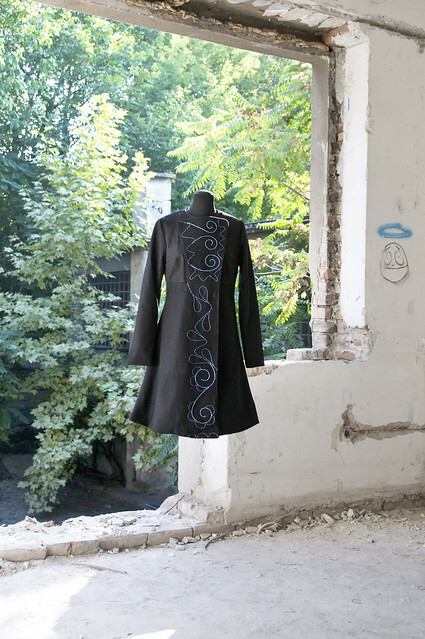 This unique collection of embroidered coats came as a result of a study about fashion styles typical for the Balkans. 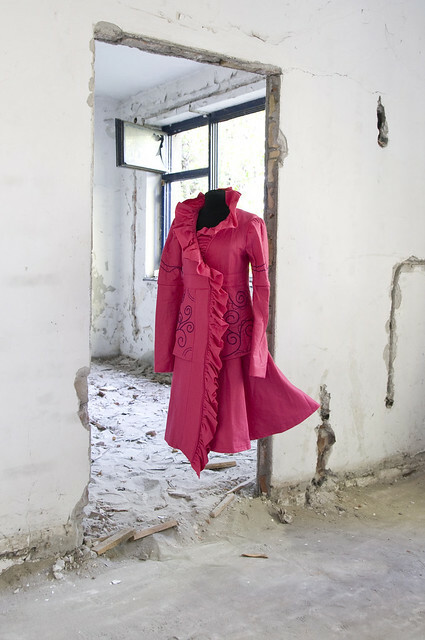 Serbian folk costume was the main inspiration for the collection. 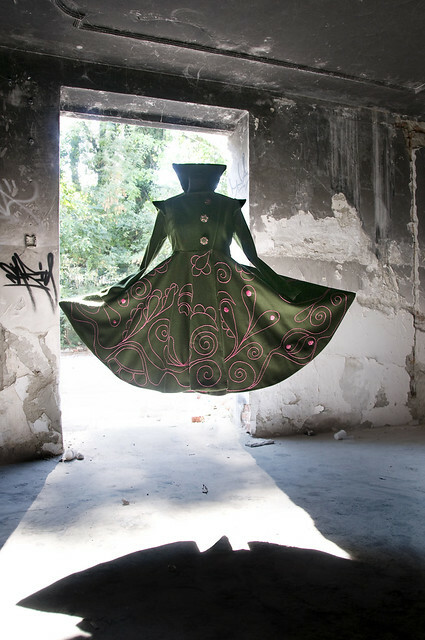 I took the form of *zubun and created coats that have a touch of a fairytale. I wanted them to look as if they came from the closet of a princess. 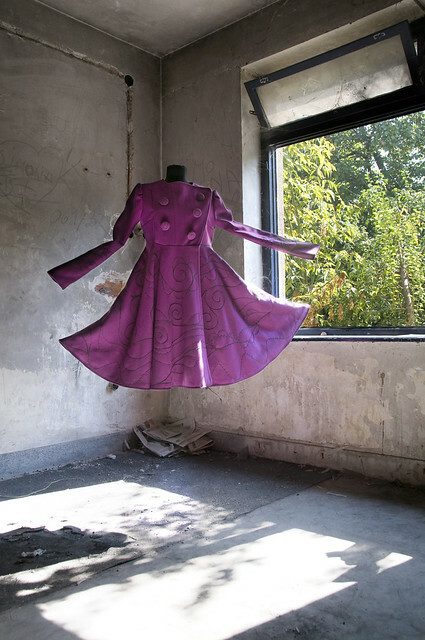 The coats are intended for young women who strive to show their unique style and still feel like princesses in this crazy and ruined world. 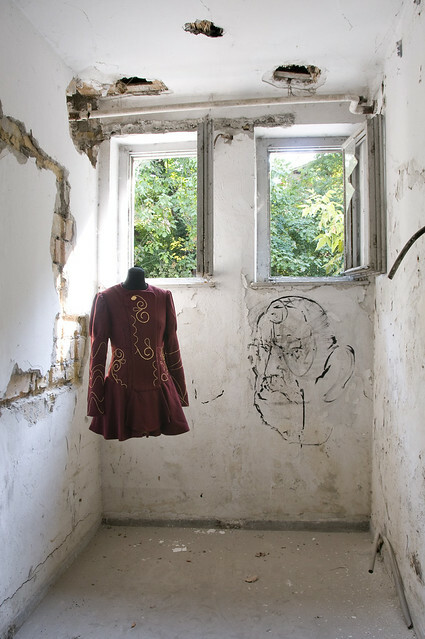 embroidery, which represents one of the most significant forms of artistic expression on textile. This was the first time I did something like that. The feeling is incredible, people are amazed when I tell them I did all the work. It’s true that I spent so much time working on them, but whenever I see my final work I am very proud of myself. I spent 3-10 days working on the needlework for each piece. Buttons have embroidery details too. While I was working on the collection, I learnt how to make my designs reality. 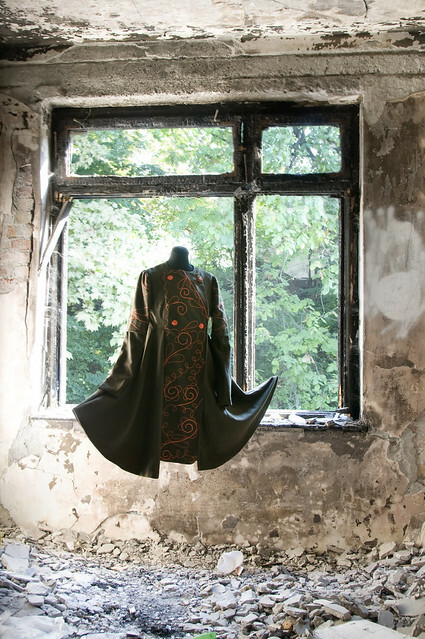 The whole collection has nine unique coats. They’re all in different sizes and all of them are for sale. Three coats were already sold in June on my first exhibition. Only the pink one is not for sale. 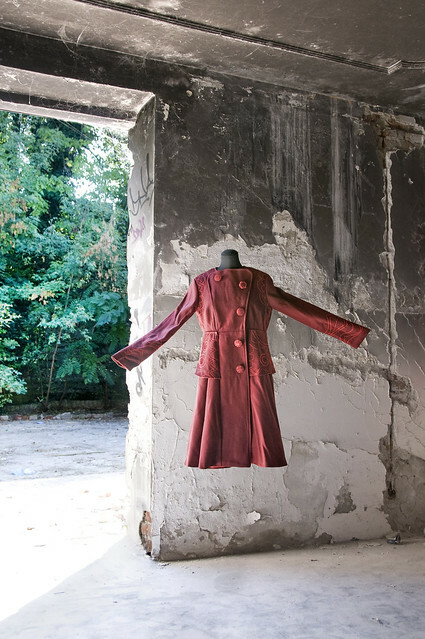 Minaa, everytime I see a new picture of your coats I fall more in love with them! They are simply amazing. I love the ‘princess in a crazy and ruined world’ image, and it so fits the photoshoot! Which is also amazing by the way, they look gorgeous floating like that. Your coats are just exquisite!! 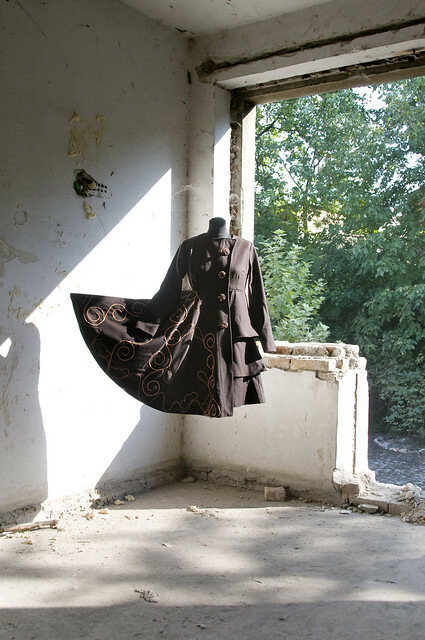 I agree with Andy Ferrari- the floating coats look lovely! Very creative display! Gorgeous collection, and I love the way all the dresses are suspended in the air, it definitely adds ‘un aire de mystere’ to everything. I think you’re all the way across the Atlantic, but if you ever need a photographer in New York, I would love to photograph your designs!